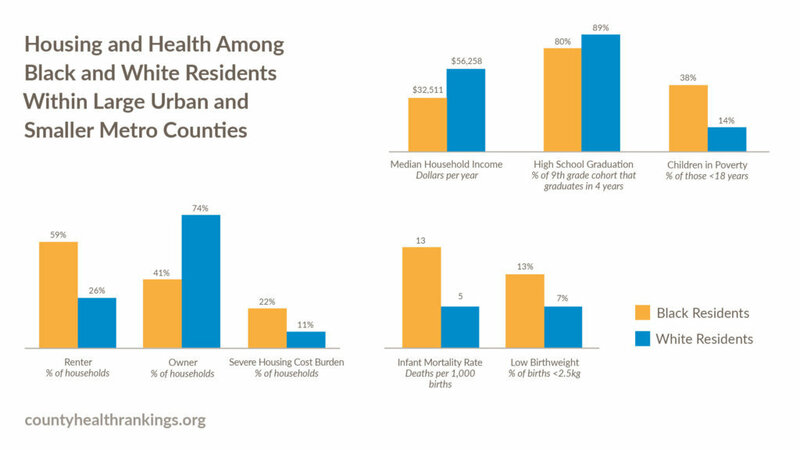 The annual County Health Rankings provides a snapshot of the health of nearly every county in the country’s 50 states, including D.C. And this year’s report gives special attention to the link between health and housing. It only takes a few minutes to get to Virginia or Maryland from D.C., but when it comes to health outcomes, the communities couldn’t be farther apart, according to the latest county health rankings from the Robert Wood Johnson Foundation and the University of Wisconsin’s Population Health Institute. 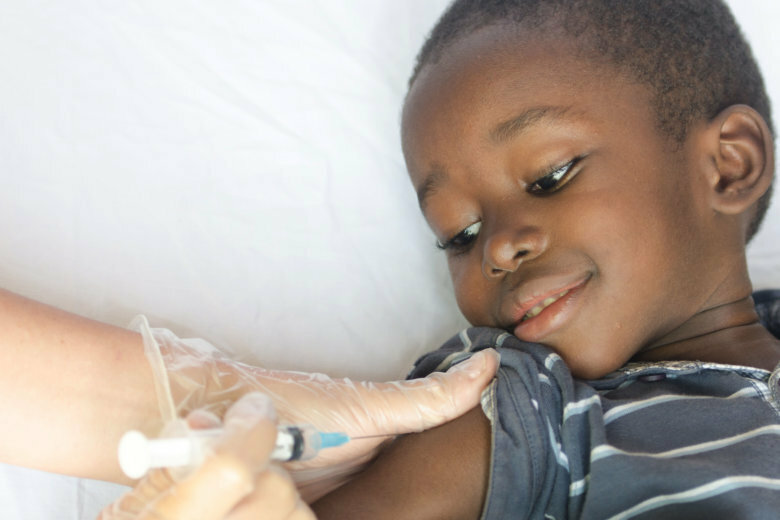 The premature death rate in the District is nearly double the rate in neighboring Montgomery County, Maryland, and more than double the rate in Arlington County, Virginia. D.C.’s teen birthrate is close to triple the rate in the same surrounding counties, and so is the rate of sexually transmitted infections. “This is a pattern that we see all across the country where there are urban areas with very poor health rankings and then communities just next to them, neighboring counties, that have very high health rankings,” said Dr. Giridhar Mallya, a senior policy officer at the Robert Wood Johnson Foundation. The annual County Health Rankings, released Tuesday, provides a snapshot of the health of nearly every county in the country’s 50 states, including D.C. And this year’s report gives special attention to the link between health and housing, which Mallya said is a building block for wellness. “We’re seeing in urban communities, in rural areas and in suburban places that housing affordability is becoming a bigger and bigger challenge,” Mallya said. 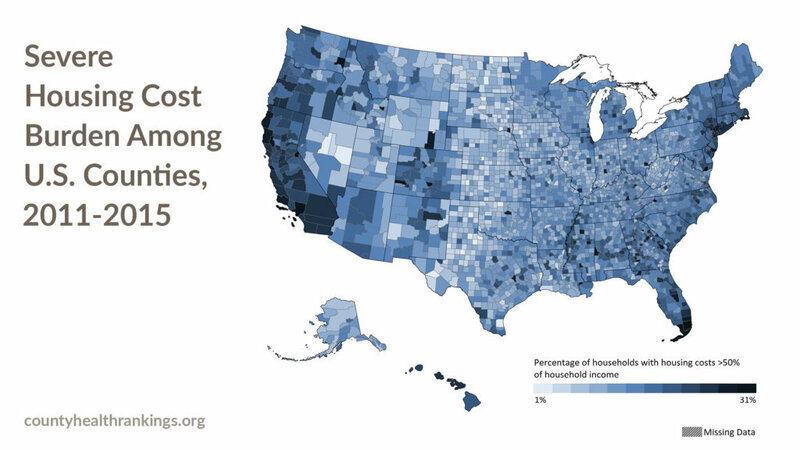 Around the country, more than 1 in 10 households are burdened with severe housing costs. The three healthiest counties in Virginia are some of the wealthiest communities in the country, according to Census Bureau data. Loudoun County tops the state’s 2019 health rankings list, followed by Arlington County at No. 2 and Fairfax County at No. 3. In Maryland, Montgomery County leads the ranking of 24 counties, followed by Howard County at No. 2 and Frederick County at No. 3. Prince George’s County, which borders D.C. on the east, ranked No. 14. Mallya said the healthiest counties in Maryland and Virginia share many similarities, including access to clinical care services, good air quality, clean water, and relatively low rates of poverty. In D.C., where the life expectancy is 78.4 years, 26 percent of youth under 18 live in poverty. 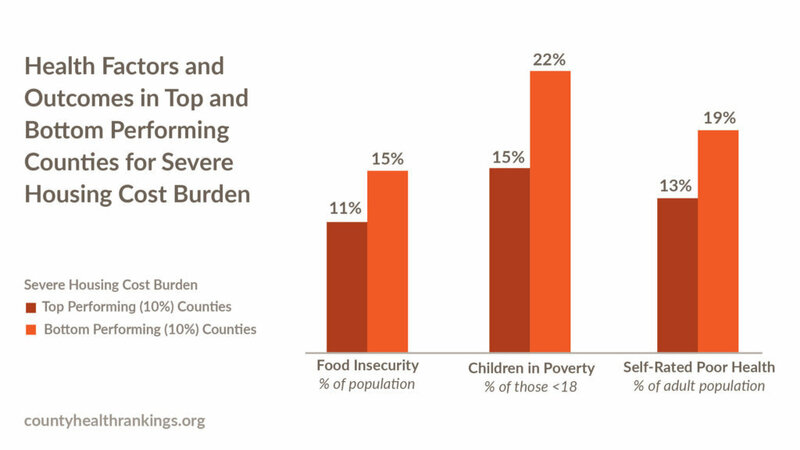 Comparatively, childhood poverty affects 3 percent of Loudoun County’s population, where life expectancy is 84.3. Unhealthy behaviors, such as smoking and excessive drinking, are also lower than the national average for the report’s top-ranked counties. Seventeen percent of adults smoke in the District, compared to 11 percent in Loudoun County and 7 percent in Montgomery County; and 28 percent of D.C. residents drink excessively, compared to 17 percent in Loudoun County and 15 percent in Montgomery County. However, Mallya said the biggest influence on the rankings are “social and economic factors,” which disproportionately affect low-income communities of color. “And we are just seeing more and more research showing how things like income or things like housing can impact people’s health. And that’s particularly the case for lower-income folks and people of color who can pay sometimes 75 percent of their income toward housing costs,” Mallya said. The 2019 ranking report includes tips, tools and programs to help communities improve the health of their residents. Mallya said recognizing discrimination and changing policies that allow it to continue can also help to improve health outcomes throughout the country. “When it comes to housing, much of the disparity that we see between people of color and white folks is due to both historical discrimination in housing, but also ongoing discrimination — African Americans finding it harder to rent an apartment or get a mortgage,” Mallya said.